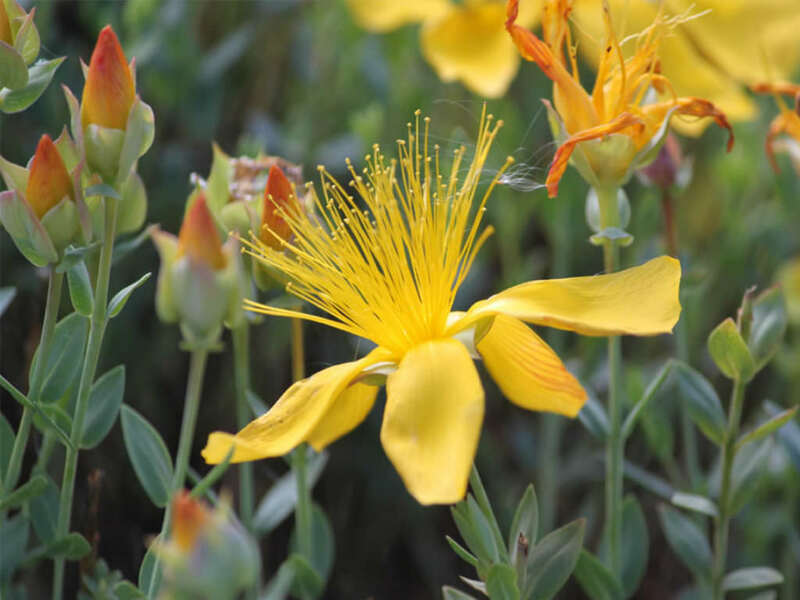 Hypericum olympicum is a dwarf, deciduous subshrub, up to 10 inches (25 cm) tall, up to 12 inches (30 cm) broad, with erect stems crowded with small, oval, grey-green leaves. 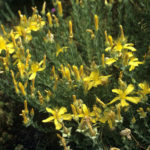 The flowers are bright yellow, up to 2 inches (5 cm) wide, in small clusters. If your soil isn’t particularly fertile, prepare the bed before transplanting. 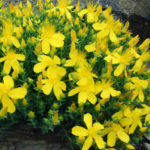 Spread about 2 inches (5 cm) of compost or rotted manure over the area and dig it in to a depth of at least 8 inches (20 cm). 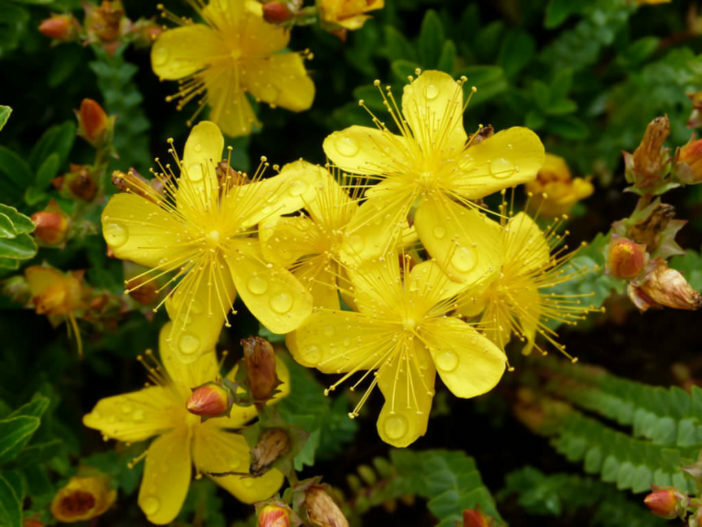 Transplant the shrubs into the garden, setting them at the height at which they grew in their containers. 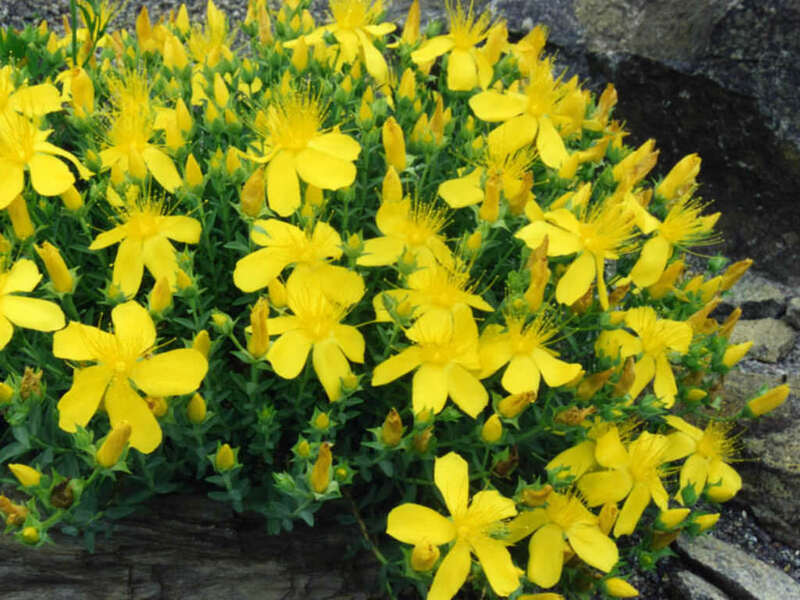 They grow only 1 to 3 feet (30 to 90 cm) tall with a spread of 1.5 to 2 feet (45 to 60 cm), so space them 2 to 3 feet (60 to 90 cm) apart. 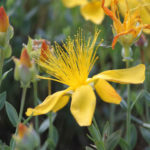 Water slowly and deeply after planting and keep the soil moist until the transplants are well-established… – See more at: How to Grow and Care for St. John’s Wort. 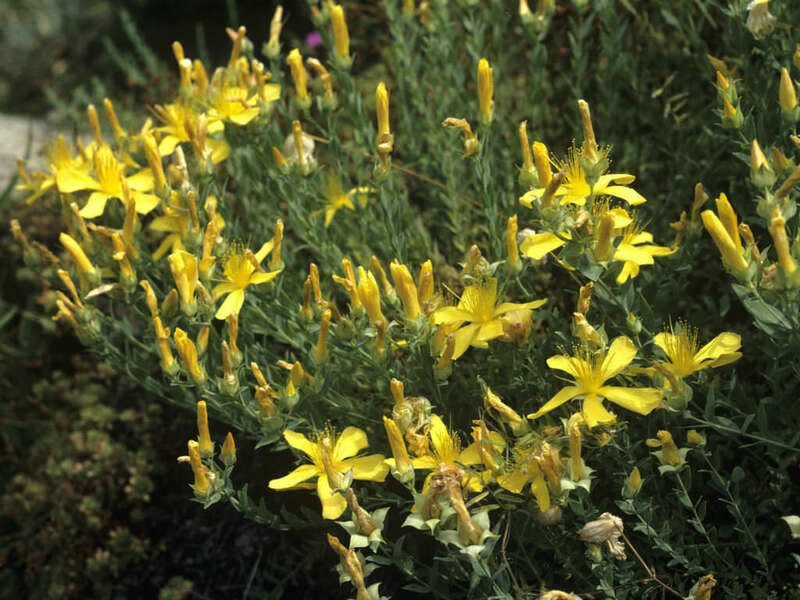 Native to Eurasia, including Albania, Bulgaria, the states of the former Yugoslavia, Greece, Turkey, and Syria.